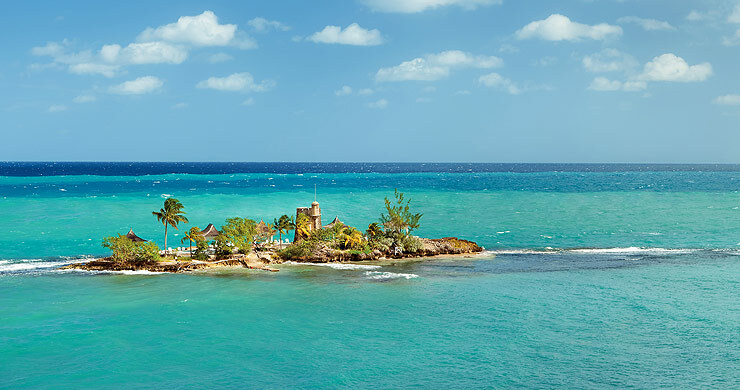 Jamaica is an island paradise and a dream wedding and honeymoon destination, visited by hundreds of blissfully happy holiday goers every year. 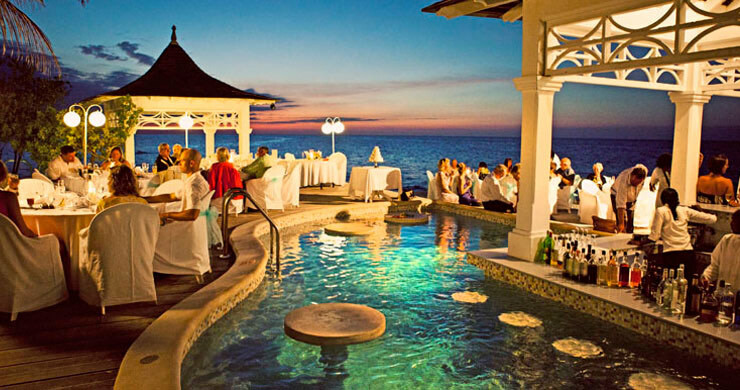 Jamaica is one of the most popular islands in the Caribbean to get hitched. With its carefree attitude, welcoming locals and sunny vibes you’re guaranteed to have a splendid start to wedded bliss. We’ve witnessed many guests get married at our four all-inclusive, luxury resorts on the island. We know your big day deserves to be special. It’s a day you should always remember. 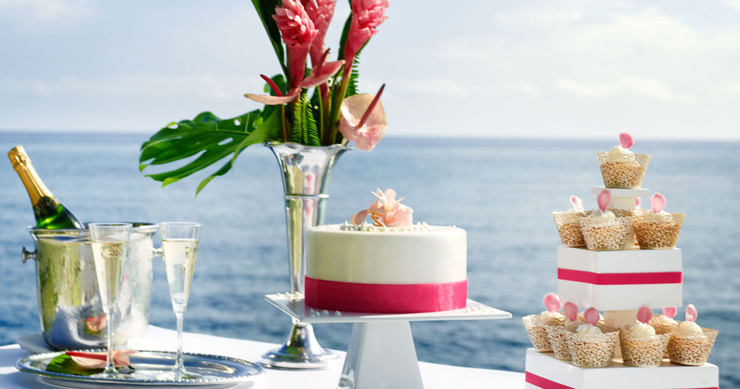 So, why not get in on a slice of (rum) cake in the sun and host your wedding in Caribbean paradise? Here are seven reasons why you should say “yes” and “I do” at Couples Resorts. 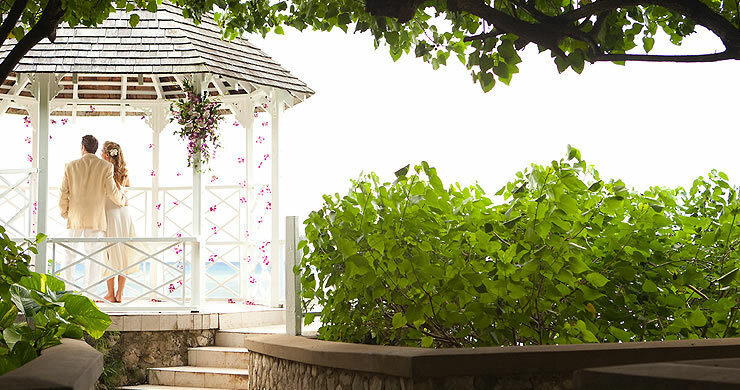 Tying the knot as the Caribbean sun shines on your ceremony is a splendid sight to see and Jamaica has plenty of rays. 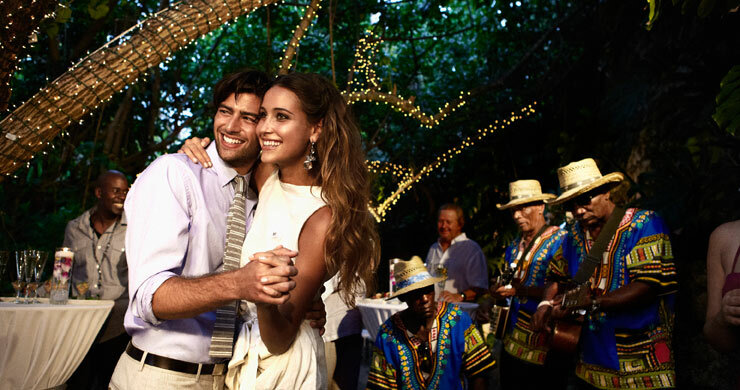 A holiday in Jamaica will put you and your guests in that happy holiday mood. Everyone will be joyful because the sun will be shining (after all, who could possibly frown when there are sun rays beaming down on everyone). There’s less of a chance that the heavens will open and rain on your marital parade. For some betrothed couples, it’s especially important to them that their wedding ceremony is a private affair – for the eyes of family and friends only. At Couples Resorts we believe in doing our utmost best to provide couples with a ceremony that’s as secluded as they wish. Our private island at Couples Tower Isle is a luxury venue for a wedding where you can exchange vows with a small number of up to 40 guests to witness your secret dream day. Weddings don’t have to be big, fancy affairs with a big dress, massive cake and hundreds people. Let’s face it, at those affairs, the bride and groom hardly know half of them (your mother’s cousin’s sister’s aunt twice removed who?). Weddings are wonderful events where you can bring together the people that really mean a lot to you. It’s hard, with our busy day to day lives, to find time to meet up with family as friends and spend quality time. Your wedding is the chance to create a group occasion where everyone can come together. You’ll look back with fondness at those that were there to share in your happiness. Today the average couple in the UK spend £22,000 on a wedding. The honeymoon is t fast becoming the most expensive item on the matrimony list with the average cost being £3,000. A wedding and honeymoon package at Couples Resorts is not just convenient but also cost effective. Package prices range from as low as $750 (£468) to $4750 (£2962). * With such incredible deals you won’t have to worry about blowing your budget. (And brides-to-be, you’ve got more money to spend on your dress). *PLEASE NOTE: All wedding ceremonies are subject to a mandatory processing, government licensing and administration fee of $250 (£156) fee in Jamaica. Planning a wedding is stressful. You have to think of everything form the wedding date, the venue, the guest list, the seating arrangements, the flowers, the bridesmaids, the dress… The list is endless! Even the sweetest of betrothed couples can turn into a nightmarish bride-zilla and groom-zilla in the lead up to their wedding. Yet, at Couples Resorts they don’t exist because we do all the planning for you. Once you’re at the resort, everything from the stylist and wedding official to the florist and photographer are provided in the Couples Resorts wedding package deals. All you have to do is get to the ceremony on time. We know we’re raving about the sun too much but why not! Jamaica has plenty of it all year round. That of course means you can plan your wedding for anytime of the year. After the magical day is over don’t think all the fun has gone too. Before and after your wedding you and your guests can enjoy some all-inclusive activities and excursions. From water sports and rounds of golf to trips around the island and yoga classes, there’s plenty of choice at the resorts. The beauty of a holiday at Couples Resorts is you can do whatever you want to do on a Caribbean holiday. Make of it what you will. What else can we say? It’s paradise on earth. Jump on a flight to Jamaica and see for yourself. Our beaches provide the picture perfect backdrop to the happiest day of your lives. 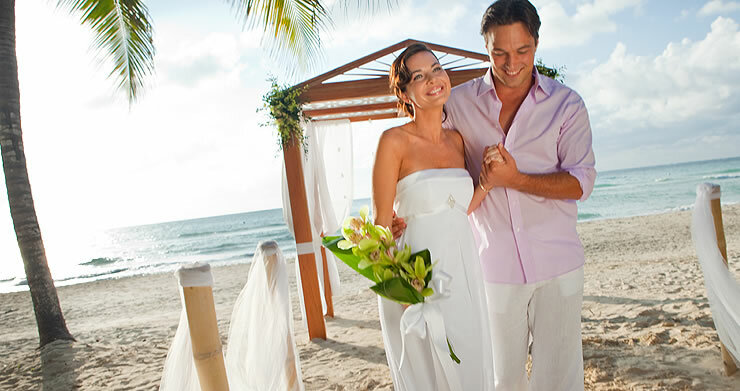 Exchange vows on the pure white sand under a canopy of tropical flowers and a view of the Caribbean ocean. Just think how beautiful your wedding photos will look like.